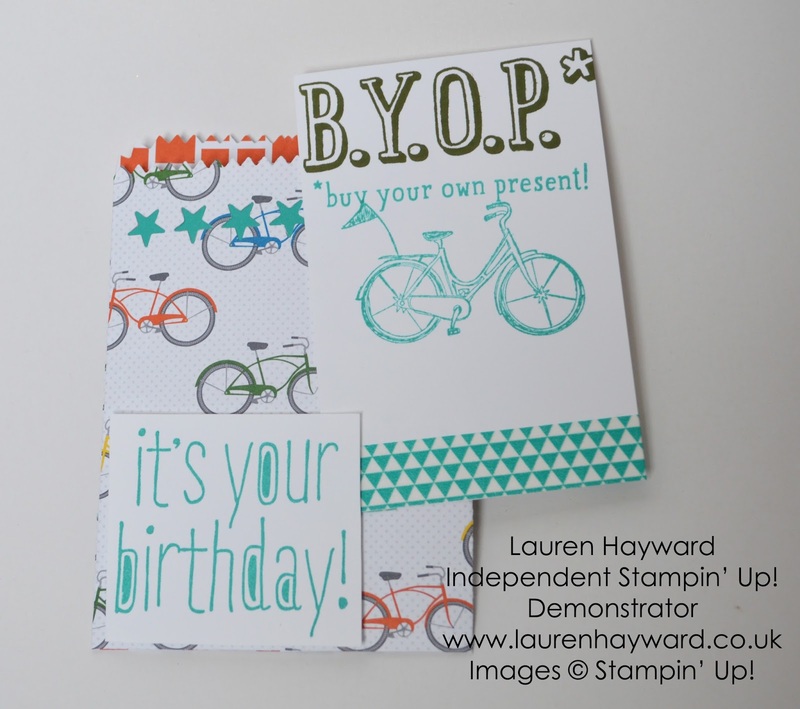 Fed up of putting money in a card? Try this! I'm a little bit in love with the way this project turned out. It's by far not perfect but I think it fits nicely. 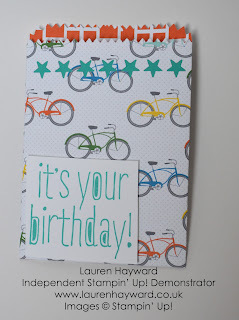 I used the treat bag thinlits and some of the gorgeous new schoolhouse designer series paper. 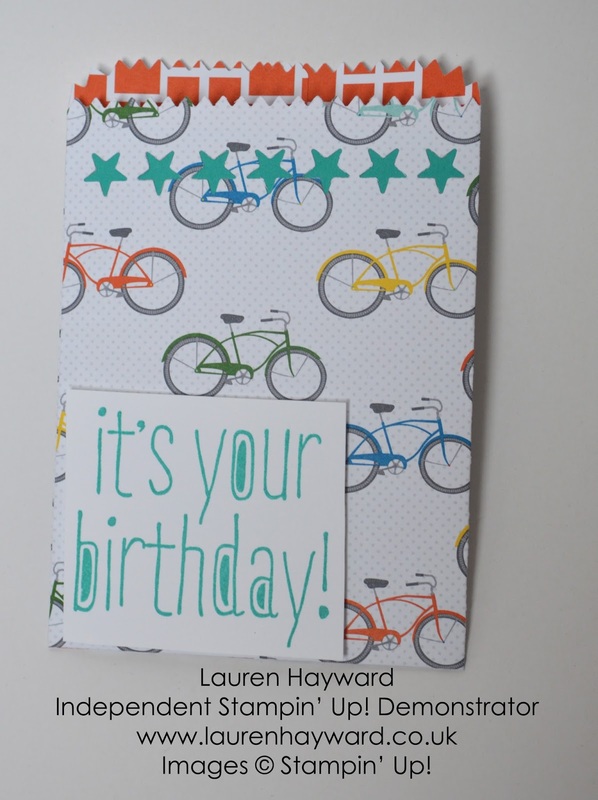 Then added a birthday tag from the Big News stamp set. 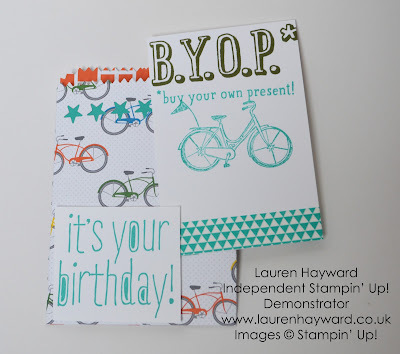 Inside there is a little card that pulls out and says BYOP* Buy your own present! I did cheat a little and used an old hostess set but the bike fitted so well with the new DSP. Much better than just putting the cash in with the card right?